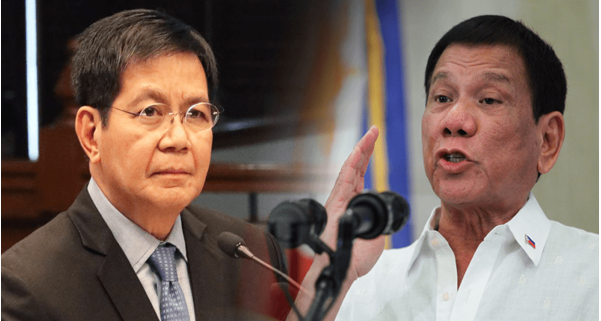 Following the controversial line of President Rodrigo Duterte in his State of the Nation Address last week, in which he separated human rights with human lives, " Senator Panfilo "Ping" Lacson made a statement defending the President from criticisms, adding that under the right circumstances, the statement makes sense. "When PRRD said he thinks of human lives more than human rights, I also thought the same in my previous life. When we were rescuing kidnap victims, it was human lives first and foremost. A poor second was the kidnappers’ human rights." The statement was from Duterte's speech, wherein he told human rights activists that they cannot sway him to discontinue with his war against illegal drugs. "If you think that I can be dissuaded from continuing this fight because of demonstrations, your protests, which I, by the way, find misdirected, then you got it all wrong. Your concern is human rights, mine is human lives," Duterte said. "Human rights, to me, means giving Filipinos especially those at the society's fringes, a decent and dignified future through social and physical infrastructure necessary to better their lives and freedoms," he added. Besides the support from his colleagues, Duterte also has faced criticism from the same. On July 24, Vice President Leni Robredo countered what she deemed was an erroneous statement, saying that there is no difference between human rights and human lives. "Kung kayo pinaglalaban niyo iyong human rights, ako iyong pinaglalaban ko iyong human life.' Hindi tayo sang-ayon doon kasi di ba iyong karapatang mabuhay, iyon iyong pinaka-pangunahing karapatang pantao?" Robredo said. "Hindi naman iyon magkasalungat, hindi naman iyon magka-kompetensya. Para sabihin na pinapahalagahan iyong human life pero iyong human rights hindi, mali yata iyon," she added.